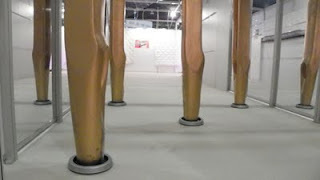 GSG Expo Updates: It's Interzum - go big! It's Interzum - go big! Needles lead the way to a new direction in quilters. Here is a peek inside the V16 quilt machine display. 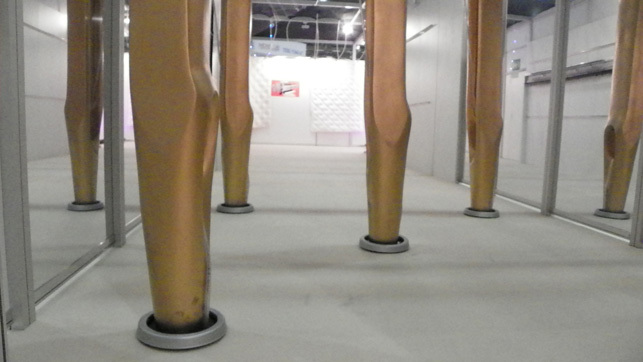 These 3 meter high needles welcome visitors into a hall designed to describe key differences between average 3-needle bar quilters and the newest quilting innovation - the V16. This is only a small (well actually they are kind of big) section of the 300 sq. meter V16 Experience. The "V16" hall has been quite a big buzz throughout the machinery hall, but this new Gribetz quilter is the real show.